Not every pet owner wants a cat or a dog. Some people prefer to keep small rodents as pets. 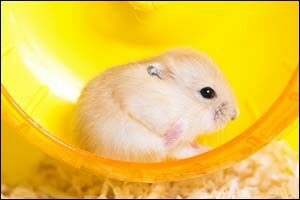 Hamsters, mice, Guinea pigs, rats and other rodents can make great pets. However, while they are smaller and may seem to require less care, they in fact can require even more care, as they depend on you for everything from their habitat to food and water, care and check-ups at your local veterinary clinic in Dartmouth, bedding and substrate, chewing items and toys, plus a whole lot more. Take time to research an animal and its specific needs before just adopting it at the local pet store or animal rescue. Make sure you will be able to afford to get everything that they need in order to live a safe, healthy and happy life. Is a Small Rodent Right for You? Other things that Westport pet owners will want to consider before adopting small rodents as pets is whether or not they fit into their lifestyle. Will you have time to make sure that your small rodent’s enclosure is properly set-up and cleaned on a daily basis? Will you have time to interact socially with your new pet to ensure that they don’t become afraid of humans? Will you have time to make sure that your small pet is properly fed, watered and cared for? Do you travel a lot or spend a lot of time away from home during the day when you’re at work? Make sure that you can properly tend to your new pet before you adopt them and bring them home. You must give careful consideration to whether or not a small rodent is right for you, your schedule, your lifestyle and your home. What Type of Veterinary Care? Just like cats, dogs and other common domesticated animals, small rodents as pets will require veterinary care. Start with a basic check-up to ensure that the pet you have adopted is healthy. Westport pet owners should speak with the veterinarian at the veterinary clinic in Dartmouth to see how often they should come back in for check-ups. You can also ask for tips on feeding, care, and address other questions or issues during your visit. For pets that have an illness or that have been injured, there are also other diagnostic and treatment options available, including veterinary ultrasound in Dartmouth at Anchor Animal Hospital. Vaccinations may be required, as well as annual screenings, to ensure that your pet has a long and healthy life. Why are Small Rodents So Special? There are many different types of small rodents as pets today in the United States. Ferrets, bunnies and even Chinchillas are all part of the rodent family. Most live inside of a cage, pen or hutch, however they can also spend time outside of their enclosure with their human family members. The type of pet, the size of the pet and the training of the pet should all be taken into consideration before allowing them outside of their pen. In addition, the other pets that you may have in your home, will also contribute to this extra freedom opportunity as well. Rodents don’t typically mix well with cats or dogs, so Westport pet owners need to set up separate areas for rodents and other domesticated pets for safety purposes. Determining which type of pet will suit you most can depend on a number of things. The amount of care and feeding they require; the size of the enclosure; the cost of adopting and ongoing care of the pet; and the lifespan of the rodent. Guinea pigs have been kept as pets by Westport pet owners for many years and can be very calm and tame. Most rodents are nocturnal, meaning they are more active at night than during the day, however some hamsters and Guinea pigs have adapted to human schedules in order to visit with their people. Some rodents should be kept by themselves, while others do well in pairs or groups. Check with your veterinary clinic in Dartmouth for any questions about your pet and make sure to bring them in for regular check-ups and emergency care, which can include testing, X-rays and veterinary ultrasound in Dartmouth, as needed. If you already have small rodents as pets or are thinking about adoption, contact your veterinary clinic in Dartmouth to schedule an appointment. Our team specializes in providing top quality care for small rodents or “pocket pets,” as we call them, in order to ensure that they are healthy and well cared-for throughout their lives. Give us a call at 508-996-3731 to schedule an appointment or to ask about services such as testing, spay/neuter, vaccinations and emergency care, such as veterinary ultrasound in Dartmouth, X-rays, surgeries and much more.